The vehicular safety company, TRW Automotive, had teased its roof-mounted airbag technology back in 2011. Three years later, this latest innovation is ready for production. The 2014 Citroen C4 Cactus is all set to debut the new 'bag in roof' technology. Airbags are typically mounted in a car's dashboard, instrument panel and more recently on the inside of doors and side panels. Freeing the dashboard of airbags dramatically changes the interior of a vehicle. 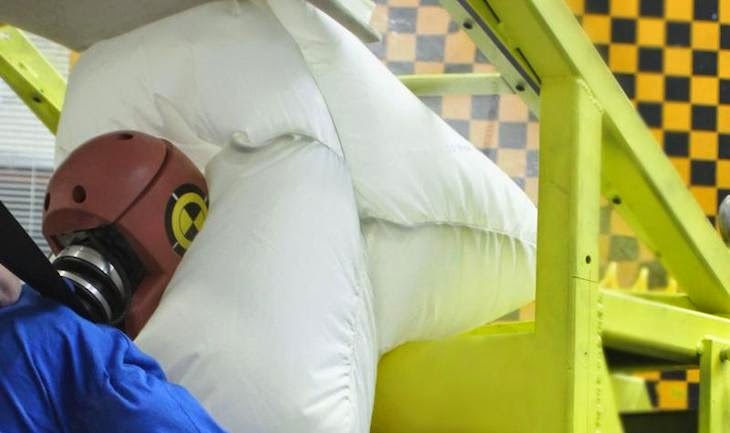 Bulky airbags used to take up a lot of room but design improvements have shrunk the size considerably over the last few years, making them small enough to incorporate in the car's roof without losing cabin space. According to TRW, automakers are constantly looking for more dashboard real estate to incorporate latest multimedia technology these days. Dirk Schultz, engineering director for TRW's Inflatable Restraint Systems commented: "TRW's new roof airbag system is a unique development and provides enhanced styling flexibility for future vehicle interior requirements in combination with excellent restraint performance." 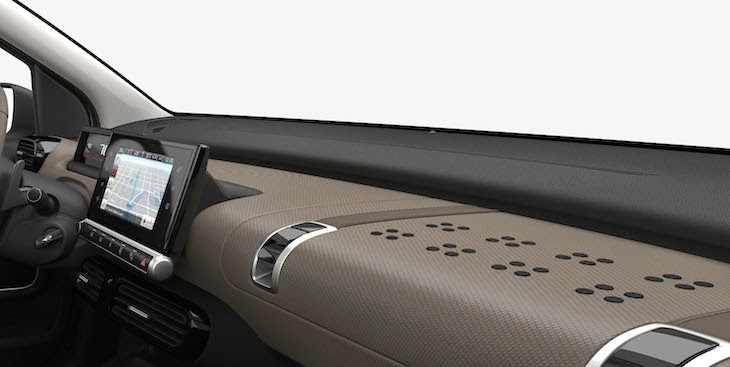 The roof-mounted airbag unit will comprise of a cushion, a gas diffusion channel and a gas generator within a housing which is fixed onto (or beneath) the headlining above the windscreen. Upon deployment, the bag unfolds along the windscreen in front of the seat occupant, rather than towards them, helping to restrain front seat passengers of varying shapes and sizes. After Citroen, let's wait and see if more automakers jump on-board with this technology.